Keller Central High School is a Texas UIL Class 6A high school in the Keller Independent School District located north of Fort Worth, Texas. Established in 2003, the band program has grown steadily to its current membership of nearly 300 students. Learning opportunities for KCHS Band students include marching band, 4 concert bands, 2 nationally-competitive winterguards, percussion ensemble, indoor drumline, jazz band, various chamber ensembles and AP music theory. In its short history, the band program has seen much success including an appearance at the 2012 UIL State Marching Contest and 11 UIL Sweepstakes Awards. The Keller Central Marching Band appeared in BOA Regional Finals in St. Louis and Dallas in 2013, Arlington in 2015, and was a semi-finalist at BOA Grand Nationals in 2015. The Keller Central Wind Ensemble was named a TMEA Honor Band Finalist in 2016 and 2018. The Wind Ensemble and Percussion Ensemble were invited to perform at the 2019 Music for All National Festival in Indianapolis. While the concert ensembles do the majority of their competing in the Spring semester, they still rehearse and perform concerts regularly throughout the year. Each student is placed via audition in a specific band class based on which ensemble best suits their ability level. Keller Central has four competing and one non-competing band. The hierarchy of the bands is as follows: Wind Ensemble, Symphonic Band, Concert Band, Concert Ensemble and Instrumental Ensemble. Wind Ensemble represents the highest level of musical excellence at Keller Central while Instrumental Ensemble is a non-competing band where young students can continue to hone their skills for the future. The Keller Central Marching Band encompasses all band students during the fall semester of the school year and PE credit is awarded for their participation. The band performs in multiple capacities throughout the semester. The band performs a “Spirit Show” at halftime during football games and supports the team through performances in the stands, at pep rallies, and in parades. The band also prepares and performs a “Competition Show” at a State and National level in University Interscholastic League (UIL) and Bands of America (BOA) competitions. To prepare for these performances the Marching Band rehearses 8 hours per week outside of the school day until the last competition or football game. There are also mandatory pre-season training camps during the summer that prepare the band to perform at early-season events. Jazz band is a smaller ensemble that students may join in addition to their participation in a regular concert ensemble. Students in jazz band will learn a variety of musical styles in the traditional jazz “Big Band” setting and will perform a few times a year. Traditional instrumentation for the jazz band includes trumpet, trombone, saxophone, piano, guitar, bass, and drum set. In the most general sense, Percussion Ensemble refers to all members of the percussion section as a whole. In addition to being a member of the Marching Band (drumline) and one of the concert ensembles, each percussionist will also participate in a variety of “percussion only” activities throughout each school year ranging from marching percussion competitions in the Fall and Spring, to on-stage concerts using traditional or novelty percussion instruments. The colorguard is a visual performing ensemble that is considered part of the “band family.” The colorguard performs a combination of dance and drill that incorporates use of flags, rifles, and sabres as well as other props. During the fall, the colorguard provides important visual support for the Marching Band. In November, the colorguard begins preparing for competition in the Winter Guard International (WGI) circuit. The winter guard season is an important opportunity for colorguard students to perform as a stand-alone ensemble in a highly competitive activity, both at the local and national levels. Kevin McNulty has been the Head Director at Keller Central High School since 2009. Mr. McNulty’s responsibilities at Keller Central include conducting the Wind Ensemble, leading the Marching Band and teaching the AP Music Theory class. In addition, Mr. McNulty facilitates all aspects of the Band program and vertical teaching in the Keller Central feeder pattern. The Keller Central Wind Ensemble has received division 1 ratings consistently since 2009. In 2016, and 2018 the Wind Ensemble advanced to the TMEA Honor Band state auditions. The Wind Ensemble is performing in the Music for All National Concert festival as a featured group in 2019. The Keller Central Marching Band has received UIL division 1 ratings since the year of 2008. The Marching Band advanced to the UIL state completion in 2011. The Marching Band has been a Bands of America finalist in the St. Louis, and Dallas/Fort Worth Regionals. The Keller Central Marching band was also a semi finalist in the 2015 Grand Nationals Competition. Before working at Keller Central Kevin McNulty served as Associate Director at Richland High School for five years. Bands under his direction have received UIL Sweepstakes for four consecutive years. The band program also made two appearances at the UIL State Marching Band Contest winning the championship in 2004 and was a finalist in 2008, was a two-time Finalist in the Bands of America Grand National Championships in 2005 and 2007. Jazz bands under Mr. McNulty’s direction have received a first place finish at the TCU Jazz Festival in 2008; they have also received a first place finish at the TWU festival in 2008 and 2009. Mr. McNulty was also a co-director for the 2004 NTCA Scholastic A Marching Percussion Ensemble Champions. Mr. McNulty received a Bachelor’s degree in Music Education from the University of North Texas in 2003. He is currently receiving his Master’s at Southern Methodist University. Kevin resides with his wife, Nicole McNulty, and their two children Kevin III and Emma, in North Richland Hills, Texas. Rudnick’s responsibilities at Keller Central High School include teaching Symphonic Band, Concert Ensemble, Marching Band and Jazz Band. Previous to Keller Central High School, Kai Rudnick served as an Assistant Director at Trinity Springs Middle and Trinity Meadows Intermediate School in Keller ISD. Under his direction, the Concert Band produced their first ever Best in Class and Superior ratings at Beach Within Reach, Peak Music, and Sandy Lake music festivals. In 2009 he chartered the Trinity Springs Jazz Band. Growing up in Hurst-Euless-Bedford area, Kai Rudnick attended L.D. Bell High School and was selected two years as a Texas All-State Bass Trombonist. Kai received his Bachelors in Music Education from the University of Texas in Arlington where he studied with Ray C. Lichtenwalter, Douglas Stotter, Larry Barton, and Dennis Bubert. He marched with The Cavaliers Drum and Bugle Corps for the 2003 and 2004 seasons. In addition to Mr. Rudnick’s school duties, he currently resides in the Fort Worth area with his lovely wife, Lindsey Rudnick, and son, Adler where he is an active drill writer for high school marching bands. Jonathan Woodrow is an associate director at Keller Central High School, Hillwood Middle School, and Parkwood Hill Intermediate School. In 2012, Mr. Woodrow joined the Band Director staff at Hillwood Middle School and taught at the middle school for six years before also teaching at Keller Central High School. Mr. Woodrow’s responsibilities include teaching the KCHS Concert Band, KCHS Jazz Orchestra and Jazz Ensemble, HMS Jazz Orchestra, and the PHIS 6th grade low brass classes (trombone, euphonium, and tuba). He is the KCHS cluster jazz band coordinator. 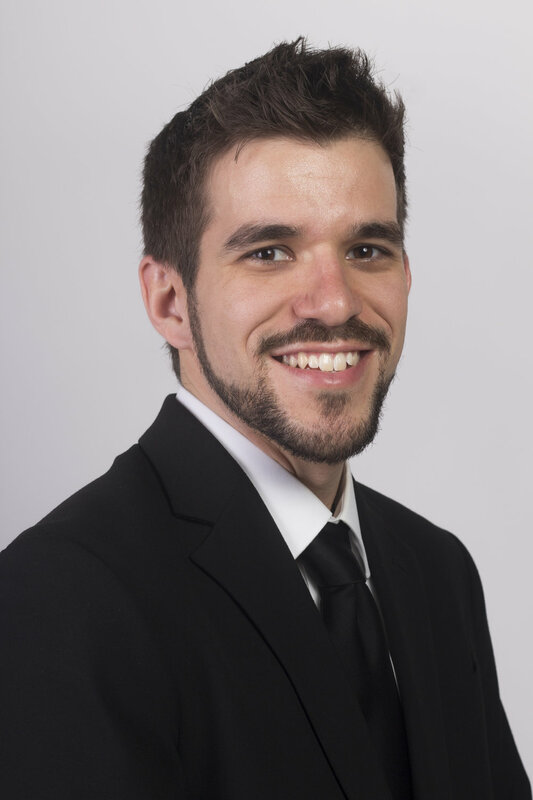 Mr. Woodrow received his undergraduate degree in music education from the University of Texas at Arlington in 2012. Bands under his direction have received UIL sweepstakes and have received superior ratings at area music festivals. In addition, the HMS Concert Band earned the distinction of “Best in Class” from the 2015 Beach Within Reach Music Festival. In 2017, the HMS Jazz Orchestra under his direction was recognized as a commended winner by the Foundation for Music Education. Growing up in Garland, TX, Mr. Woodrow attended Garland High School where he was selected as a 5A TMEA All-State Trombonist. He currently resides in Bedford, TX with his wonderful wife, Haley Woodrow and miniature schnauzer, Pilot. Jessica Maus is the Head Band Director at Hillwood Middle School and Parkwood Hill Intermediate School, which feeds Keller Central High School. In 2013, Mrs. Maus joined the Band Director staff at Keller Central High School and taught at the high school for four years before becoming at the lead teacher at the middle school feeder. Prior to coming to the Keller Central Feeder Pattern, Mrs. Maus taught at North Richland Middle in Birdville ISD for five years. She is currently in her 10th year of teaching. Mrs. Maus received her undergraduate degree from Southern Methodist University in 2008 and a master’s degree in music education from Southern Methodist University in 2015. Growing up in North Richland Hills, she attended Richland High School and was selected three years as a Texas All-State Oboist. She and her future husband met during summer band at Richland High School. Mr. Maus is also a band director and teaches at Keller Middle School. Mr. and Mrs. Maus have a one year old son, Liam Jay. Since 2012 Matt Stephens has been the Percussion Director at Keller Central High School, where his responsibilities also include teaching percussionists at Hillwood Middle School and Parkwood Hill Intermediate School. Prior to Keller, Mr. Stephens taught the percussionists at Fowler and Scoggins Middle Schools in Frisco, TX. Matt Stephens attended Texas Christian University in Fort Worth, TX earning a Bachelor’s degree in Music Education. While attending TCU, Mr. Stephens participated in numerous ensembles including the Symphony Orchestra, Symphonic Band, Horned Frog Marching Band, and the four-time PASIC Champion TCU Percussion Orchestra. He also marched bass drum with The Cavaliers Drum and Bugle Corps in 2009 and 2010. Matt has studied with Brian West, Joey Carter, Dave Hall, Paul Rennick, Brian Tinkel, Jim Casella, and Mike McIntosh among others. Matt has also performed in many amazing venues from Super Bowl XLV in Arlington, to New York City’s Merkin Hall, as well as Okayama, Japan and the Sydney Opera House in Sydney, Australia. Mr. Stephens is an educational artist with Innovative Percussion. Mr. Stephens grew up in McKinney, TX and graduated from McKinney North High School. He also attended Scott Johnson Middle School where his father, Paul, was his band director. Matt currently lives in Saginaw, TX with his wife, Hannah. Daniel Hartselle took over as director of the Color Guard program at Keller Central High School in 2013. His responsibilities include teaching the color guard year-round, as well as assisting with design and instruction of the Marching Band show in the fall. In the winter season Mr. Hartselle leads a varsity and junior varsity winter guard that compete both locally and nationally, including a WGI Finals appearance in 2016. Mr. Hartselle is excited to start a middle school color guard program in the near future. Prior to Central High School, Mr. Hartselle taught at Colleyville-Heritage High School in Colleyville, TX.